Randy Couture has signed a multi-year deal with Spike TV and will be a coach on the new Bellator MMA reality show. Dana White cannot be happy about someone with such strong UFC colors working for their only competition. This doesn’t surprise me at all. Couture’s tumultuous past with the Ultimate Fighting Championship is well documented. Couture would not sign off on his likeness being used for merchandise purposes due to the absence of compensation. This is why you have never seen “the Natural” in any of the UFC video games and this is why Jakks Pacific had to acquire the rights to his likeness on their own in order to release his action figure. Zuffa has publicly claimed they never pay merchandise royalties but I highly doubt a shrewd businessmen like Brock Lesnar agreed to such a deal since he is on the cover of their latest video game. Randy Couture was a coach on seasons one and four of The Ultimate Fighter. He has always had a comfortable relationship with Spike TV and the UFC is not using him in any capacity that puts money in his pocket. They wouldn’t either considering their salty past and besides, those spots are reserved for guys who toe the company line. Here is the interesting question no one has mentioned: Will Spike TV try to lure the five time world champion out of retirement? You know that conversation will happen at some point. Even at 49 years old, Couture could be the draw Bellator needs to break into the pay-per-view market and Bellator has the financial means, through Viacom, to pay him. 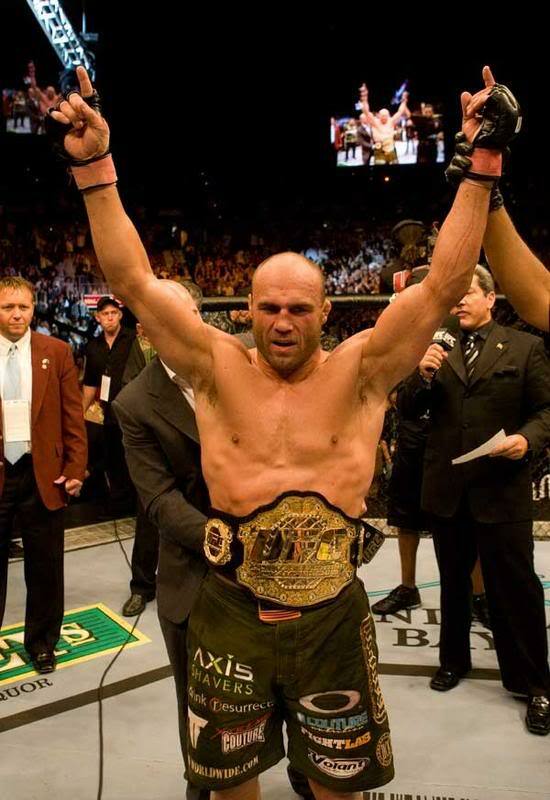 Randy Couture is my all-time favorite fighter, but I don’t want to see him fight again. He has so much more to offer to the sport than fighting.